Customer Testimonials - Sidebar Insurance Solutions, Inc.
"Adam is very knowledgeable and very personable. He is a hard worker and makes sure his clients are taken care of to the very best of his ability. I strongly recommend Adam." "I will be recommending Sidebar to friends and family. This is the smart way to review your family's specific insurance needs and find out where you can get great coverage for the best value." "Adam Czerwinski is one of the most knowledgeable and impressive insurance professionals I have ever worked with. He goes above and beyond for his clients and is the person you want on your side if a claim was ever to occur." "Adam and the team at Sidebar are nothing but professional. They always had my best interest at heart and when reviewing potential options for my insurance, they have the pro's and con's of all options and gave me great advice moving forward. I would recommend them to anyone looking to save money on their current insurance, on in my case purchasing for the first time. Everything was quick and easy. Great service." Adam from Sidebar is great! He was always available (day or night) to answer any questions I had, even the silly ones, as this was our first experience getting insurance on our own. He was very helpful along the way and made everything easy to understand for us beginners! I would highly recommend him to family and friend. In fact, my mom intends o reach out to him in the future!" "Adam and his group from Sidebar Insurance Solutions provided me with excellent home and auto insurance products, along with cost savings and made the conversion process hassle-free. I have already recommended his group to others." "Adam Czerwinski was professional and thorough with his review of our insurance plans and was quick to react to changes I wanted to make. I would recommend him to anyone who is looking for new insurance policies or is tired of being over-charged by their current insurance providers. A great experience." "Adam with Sidebar Insurance helped us find a great policy that fit our situation, and we couldn't be more pleased. He was very attentive and prompt with his communication which we appreciated. We look forward to working with him in the future." 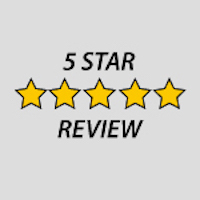 "Adam is incredibly knowledgeable and his customer service is second to none. He went to great lengths to make sure I understood my options and felt comfortable with them moving forward. I would highly recommend Sidebar to anyone looking for insurance, and often do when I am given the chance." "It was a great experience form the start to the end. Received information quick to me, explained everything we need to know on the home, auto as well, as my business insurance. Thanks again for your help"
"Sidebar Insurance saved us tremendously on all of our insurance policies. Adam Czerwinski is very knowledgeable and easy to deal with. Overall, a first class experience." "Adam went out of his way to find us the right fit for homeowners and auto insurance. Even through an extremely difficult and ever-changing closing, Adam provided support and knowledge. Thank you!" "Adam and Sidebar were fantastic. Very responsive and quick, all while guiding me through the process." "When I requested to have my insurance reviewed, Sidebar stepped up and found me a better fit. I'm very happy with the service"
"Honest trustworthy company. They truly care about their clients!" "Sidebar was easy to work with and actually saved me 30% on my property insurance! Highly recommend!" "Outstanding personal and professional service...appreciate your time and talent"
"I've recommended several friends to Sidebar Insurance. They are great to work with." "All I know is that the transition was simple, effective and professional." "Adam saved me $ and was responsive in getting certificates to lenders, etc."